Khaya Ndlovu Manor House is situated on the 35000 acre Blue Canyon Conservancy which boasts 4 of the Big 5 African Animal species. 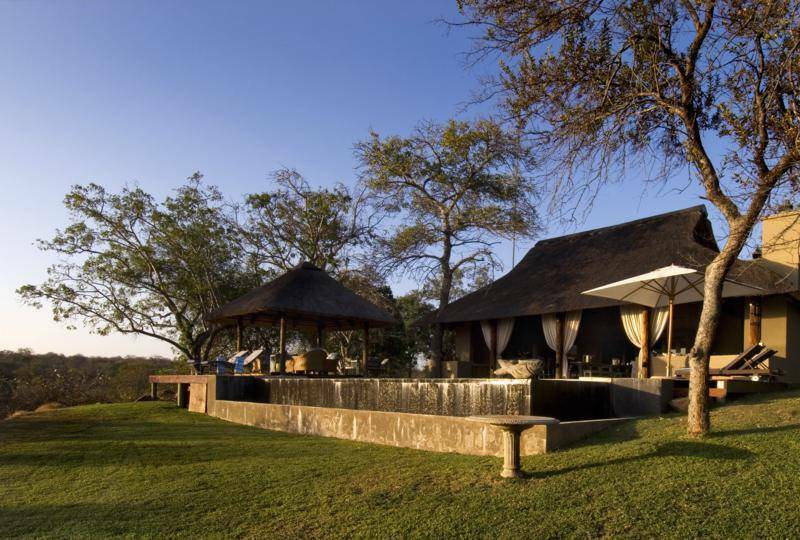 Overlooking a busy waterhole this lodge has incredible views of the Drakensberg mountains. We are certified 4 Star by the TGCSA and offer amazing personalized service to our discerning guests. You will arrive as a guest and leave as a friend. Our rates include a full African breakfast which includes fresh fruit, pastires, cereals and a hot breakfast of your choice. We provide light lunches typically of a light salad, pasta or sandwich, and pride ourselves on our 4 course amazing dinners something you will fondly remember. The scene from the Manor House deck provides a breathtaking view of the rugged Drakensberg mountain range. As you lounge at our ever inviting infinity pool, you can quench your thirst with a selection of refreshing drinks while a variety of animals may congregate at the water hole - a stone’s throw below the deck. The Leadwood Honeymoon Suite is the perfect setting for a newly wed couple to find each other after the busy and exciting wedding day. The room is luxurious to the very last detail and combines bold pieces with clean lines and spaciousness. 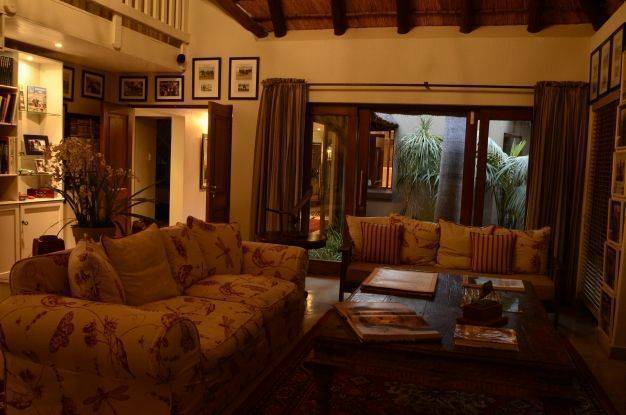 The room opens onto the colonial-style, landscaped garden and there are floor to ceiling windows allowing natural light to bring the peacefulness of nature indoors. Another stunning feature of the room is the en-suite bathroom comprising a spa bath which presents the best of both outdoor and indoor bathing, with a glass-walled garden that allows the calming effect of nature to enhance the bathing experience. 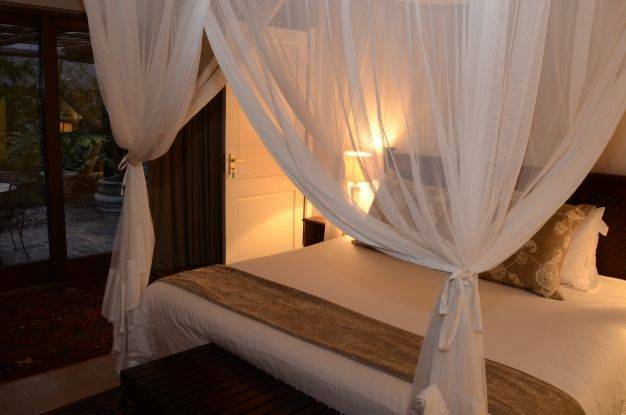 You will find luxury abound in this en-suite double room. Bush-chic best describes this room as the stylish and extremely comfortable interior decorating meets the African bush through the rich aroma of the thatched roof above. Here is where one dreams of Big 5 adventures on a Lowveld safari, while you rest your head on a soft pillow to drift away on the music of the African bush. Khaya Ndlovu Manor House is located on the 35000 acre Blue Canyon Conservancy home to 4 of Africas Big 5 Animals (no Buffalo). The closest town is Hoedspruit and the nearest city is Nelspruit. 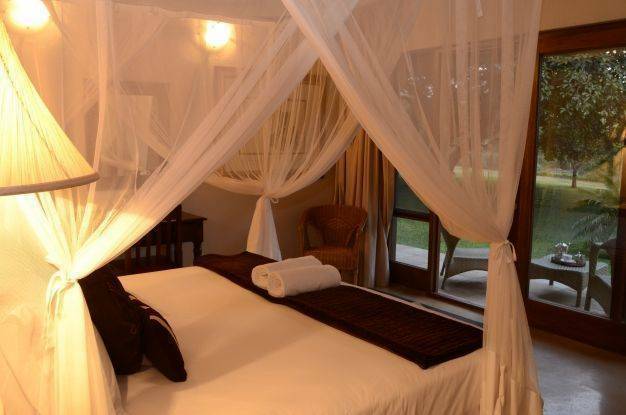 Khaya Ndlovu Manor House is located 7 km from Hoedspruit on the western boundary of the world renowned Kruger National Park in South Africa, within the 15000 hectare Blue Canyon Conservancy. 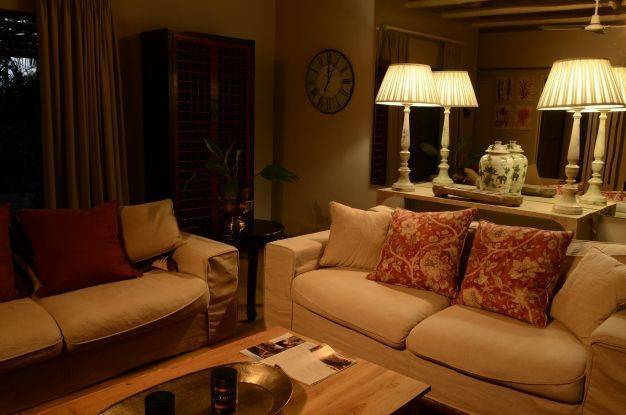 Khaya Ndlovu Manor House can be accessed by road, air or rail and is a mere 4½ hours drive from Johannesburg. Only 15 minutes from Eastgate Airport that has daily flights to and from Johannesburg. 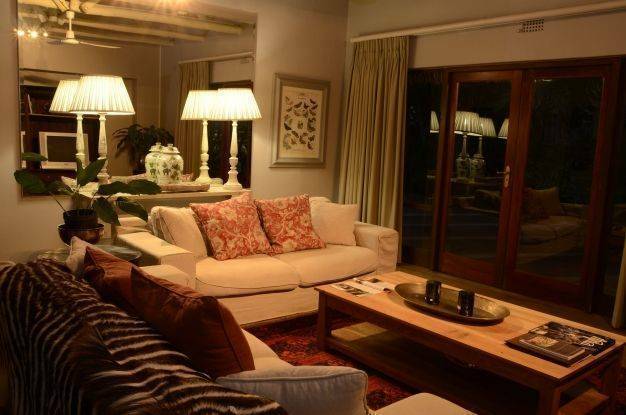 The lodge is within easy access to the lowveld area and its many activities and only one hour from the Orpen and Phalaborwa Gates into the Kruger National Park. Eastgate Airport is 15 minutes from the Lodge. it has 2 daily flights from Johannesburg and 2 flights per week from Cape Town.